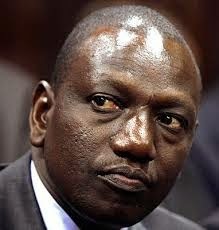 : WHAT IF ICC JAILS RUTO? The International Criminal Court at The Hague, Netherlands, handed down to Kenya Christmas news that hit both local and the international scene with a bang, wrapping in a mystery inside a riddle when it dropped the case against Uhuru Kenyatta on Friday December 5, six years after it first named him as one of six suspects in crimes against humanity. First, the judges of the world’s first international criminal court gave the prosecution an ultimatum – exactly one week to produce evidence that can sustain a case in court or call it quits. The prosecution threw in the towel on the second day of the ultimatum. 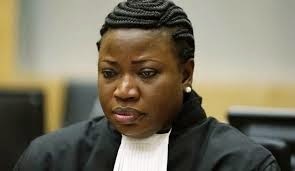 When ICC Chief Prosecutor, Fatou Bensouda, announced the withdrawal of charges against Uhuru, the court’s highest profile case ended without ever having really began. Uhuru made exactly two appearances at The Hague over the course of six years – first in 2011 when he squared-off with the then ICC Prosecutor Louis Moreno and then on October 8 this year for his status conference. 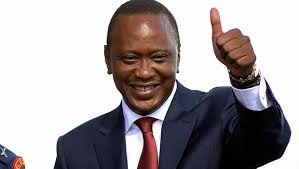 Judges Kuniko Ozaki, Robert Fremr and Geoffrey Henderson made Bensouda issue Friday’s “Notice of withdrawal of the charges against Uhuru Muigai Kenyatta”. “In light of the Trial Chamber’s December 3 2014 ‘Decision on Prosecution’s application for a further adjournment’, the prosecution withdraws the charges against Mr Kenyatta,” the three-page notice announced. Kenyans, now more divided than ever along political and ethnic divides, received the news with mixed reactions. In the Mt Kenya region, there was a widespread sense of vindication and triumph. Older folks nodded their heads sagely and told the new generation that for a second time in 60 years, a Kenyatta had survived the vagaries of “mzungu injustices”. Sales of beers in the region soared. The most mixed reactions were in the Rift Valley, where Kalenjins and Kikuyus are the majority tribes. RV was one of the most extreme theatres of the post-election violence of 2007-08 that landed both Uhuru and William Ruto (now deputy president) at The Hague with crimes against humanity charges around their necks like albatrosses. The ICC factor united the two and against all odds and are powerful men in the country today. It is said the pro-Raila Odinga camp and a section in the Kibaki regime underestimated and thought the ICC factor was to block the two from presidency. In fact, it is whispered it was used to fix them politically with the help of western capitals who were backing Raila in 2013. Uhuru and Ruto were initially charged alongside four others – Francis Muthaura, Henry Kosgey, Hussein Ali and Joshua arap Sang. They were all accused of “bearing the greatest responsibility” in the 2007/08 post-election violence in which 1,133 people were killed, 650,000 displaced and property massively destroyed and railway lines uprooted using bare hands. Kosgey, Muthaura and Ali were acquitted, while Bensouda settled on the Uhuru, Ruto and Sang cases and sat on them as resolutely as a hen sitting on eggs. Uhuru and Ruto and their strategists made brilliant use of anti-imperialist propaganda to portray themselves as the victims of the West at the ICC. Their propagandists rolled out a massive publicity campaign blitz of prayer rallies, media Op Eds, social media and other online interventions that whipped up the Mt Kenya and Rift Valley grassroots into the so-called “Tyranny of Numbers” factor. Once they secured the presidency and their Jubilee coalition was in charge, UhuRuto embarked on a campaign of Pan-Africanism and other international diplomacy, in both the African Union and the United Nations, as well as the ICC’s own Assembly of States Parties. Despite being the first presidential team to suffer the indignity of being ICC suspects with crimes against humanity cases, Uhuru and Ruto did not hide themselves from the world. On the contrary, they became Kenya’s most travelled head of state and his deputy in their first 19 months of office, spending many hours in the air and many days in foreign capitals. Uhuru went to London in June 2013 for the first time as president, to a Somali conference convened by British Prime Minister David Cameron. The PM played a nasty game on Uhuru, instructing his media handlers that there was to be no photograph or footage of them together. Uhuru, who was still building his administration, walked straight into the trap. Since then, he takes his own media team with him and maintains up-to-date Facebook and Twitter accounts, including a State House site. In the week that Uhuru saw his case dropped, his media team, the Presidential Strategic Communications Unit was engaged in a shouting and abuse match with ODM. There was also internecine war inside PSCU itself, with seven members up in arms against the director, Manoah Esipisu. The result was that the ICC vindication was not properly managed at the newsrooms level. Uhuru went to the United States twice this year, in August and September, attending President Barack Obama’s first US-Africa Leadership Conference and his own inaugural United Nations General Assembly. On both occasions, he met Obama. It is claimed Obama had a say in the dropping of the case. One may ask why? Analysts aver that a political ghost hangs around Obama over his failure to visit his father’s land when the most powerful man on earth. To fasttrack the visit and to avoid controversy back in America, he had Uhuru cleared. Obama has said he will visit Kenya before his term ends. Now that the ICC affair is behind Uhuru, observers are watching him closely for signs of how he moves on, and what he does for Ruto (or, more specifically, what he does not do), his comrade-in-arms in the trench warfare of the 2012-13 presidential campaign and in the presidency. In fact, as a free man and not to be seen to have abandoned Ruto at the hour of need, Uhuru needs to engage himself in lobbying diplomatic circles to have Ruto case crippled. He should even go further and have his defence team play advisory role to the Ruto-Sang side at this trying moment in Jubilee alliance. Analyst further say to avoid a fall-out in Jubilee following the prosecution move, Uhuru and Ruto should visit Rift Valley and Central provinces now and then. Uhuru should further make sure his political allies including his family members are with Ruto at The Hague whenever the need arises. To be seen against protocol norms, the president as a private citizen should at one time be at the airport to see his deputy off to The Hague when the time comes. The first order of business for Uhuru on the international diplomatic front is to review Kenya’s relationship with former colonial master Britain whose influence at ICC just like America cannot be underestimated. The British gave Uhuru hell throughout his six-year ordeal at the hands of the ICC, including openly preferring Raila Odinga to succeed Mwai Kibaki in the 2013 race. Britain’s “special relationship” with Kenya began to unravel when Kibaki took over from Daniel Moi in 2002 and quickly diversified Kenya’s foreign policy, trade and investment options. Kibaki looked East and brought in China. Today, British High Commissioner Christian Turner, a man who bet big on Raila but found he had barked the wrong tree, is reduced to brokering deals such as UK currency printer De La Rue’s new-generation Kenyan coins and notes contract. Land Rover, for years the vehicle of choice for government, military and police in Kenya, has been wiped out by Toyota, including for the ceremonial Commander-in-Chief parade review vehicle. On the home political front, Uhuru has a much bigger headache – what to do if the ICC swallows up his deputy in revenge for the massive loss of face and prestige that it has suffered by failing to nail him? The DP is the most nervous man in Kenya now. This is on grounds that analysts both legal and political, tactical and strategic, have been quietly pointing out that Liberia’s Charles Taylor had 100 witnesses against him in his ICC case and it was the 100th whose testimony nailed him, resulting in his being jailed for the balance of his life. In other words, anything can happen. Another worst case scenario is that Ruto’s case could drag on for three years (or longer), going all the way to the campaign for the 2017 presidential race. The biggest question at that juncture will be: Does Uhuru, now that he is personally free of the ICC stain, necessarily want a crime against humanity suspect as a running mate in 2017? Human nature is a strange thing and Kenyan political history is full of examples of people who suffered together being shafted by their former fellow sufferers in what has evolved to be the political intrigues of the more than 50 years of independence. Additionally, there are going to be enormous pressures for Uhuru to change his DP, including from both within Mt Kenya and Rift Valley in case the case drags on past 2017. However, others are of the opinion that if it drags, it will play well in Jubilee hands and help it win state power yet again. One is that Uhuru will be defending his seat as Ruto nurses his ambitions to clear the ICC case. If anything, the duo was cleared to run even facing criminal charges in 2013. Already, there is talk in the Mt Kenya region that justice has truly been done and Uhuru should now exercise his options away from Ruto as soon, and as far away, as possible. In some parts of Rift Valley, particularly inside the Daniel Moi family, this is also the sentiment. The same is with political sworn enemies of Ruto who even pray he is jailed tomorrow. In fact, when Uhuru was set free, in Cord’s bastion, word was the “engine had been removed and the trailer remained with heavy luggage”. There is nothing the former president, who is now 92, would like to see more, before he finally goes to meet his maker, than Uhuru alongside a deputy president Gideon Moi. Uhuru and Gideon are interacting ever more closely at several levels, including socially and in business circles. The award to Uhuru by Kabarak University, which the Mois own, of a Doctorate in Leadership last month is just the icing on the cake and a clear indicator of things to come. Also in the pipeline is a mega deal whereby the Kenyatta family gets to buy out the Daniel Moi and Gideon Moi shareholding in the Standard Media Group (publishers of the Standard newspaper, The Nairobian, and owners of KTN and Radio Maisha) and amalgamate it with Mediamax Network Limited (publishers of People Daily and owners of K24 and Kameme FM). It no small wonder then that People Daily opted to become a free newspaper on the streets. It was not lost on keen observers that Gideon was part of select and elite backers of Uhuru who went to the billionaire playground of Abu Dhabi in the United Arab Emirates to watch Formula 1 Grand Prix and were still there before the November 22 first Mandera massacre. Earlier this year, during the UN Environmental Assembly in Nairobi, Gideon was quietly given the protocol responsibility of accompanying Prince Albert II of Monaco throughout his stay in Kenya. Albert, like Gideon, is a billionaire and a polo lover. Monaco is one of the world’s foremost billionaire playgrounds, especially in its world-renowned casinos. Ruto and his backers are watching this unfolding scenario carefully. However, deep political analysts warn that Uhuru would have to be extremely careful whether Gideon commands any clout among the Kalenjin as a vote bloc and whether the community would indeed line up behind him if shove came to push. After all, the community openly rebelled against both the senior Moi and Gideon in 2007 and lined up behind Ruto to try and deny Kibaki a second term. Indeed, the worst thing that could happen to Uhuru on the way to 2017 is to fall out with an aggrieved Ruto before the Mt Kenyans have wooed another huge ethnic vote bloc to their side to preserve the “Tyranny of Numbers”. A despairing Ruto and a Kalenjin vote bloc that break away from the Jubilee arrangement could spell doom for a second term campaign for Uhuru. The president must handle Ruto’s factor with a lot of care not to be a one-term president as opposition approaches 2017 with DP ICC saga in mind. Not all is gloom though as there is another school of thought that has it that ICC is a political court and it was international politics, not lack of evidence as such, that saved Uhuru and the same will happen to Ruto when the time is ripe. In the opposition, schemes and counterschemes are playing out following the escalation of adverse evidence against Ruto at the ICC coupled with reports that worried handlers of Uhuru are secretly abandoning him in preference for a coalition deal with alternative influential politicians in the country including top opposition leaders among them UDF’s Musalia Mudavadi. Reports say TNA strategists have gotten to believe that the dangerous twist in events of the ICC case involving the DP and Sang clearly indicates that all is not well and anything could happen and tilt either way. If the negative happens as Raila and his handlers pray, the development will lead to the Kamatusa members of the URP and Jubilee coalition to rebel and try to collapse the Jubilee coalition government. Dangerous and highly incriminating evidence by two latest witnesses in the recent weeks has caused panic in the DP’s circles. Though the main cause of panic in URP is the terrifying turn of events at the ICC Hague courtroom, close sources say the bold move by Uhuru and TNA strategists to engage the opposition and other leaders outside government for new political pacts is surfacing. The nomination of Joseph Nkaissery to replace namesake Joseph Ole Lenku as man in the security portfolio is sending political signals of a government of national unity in the offing. Nkaisserry is in parliament on ODM’s opposition ticket. He has not been in good books with the DP whose party URP sponsored a candidate against him in Kajiado Central seat and thus no love lost between the two. Political experts say that TNA side may have borrowed a leaf from Kibaki in forming another government of national unity.